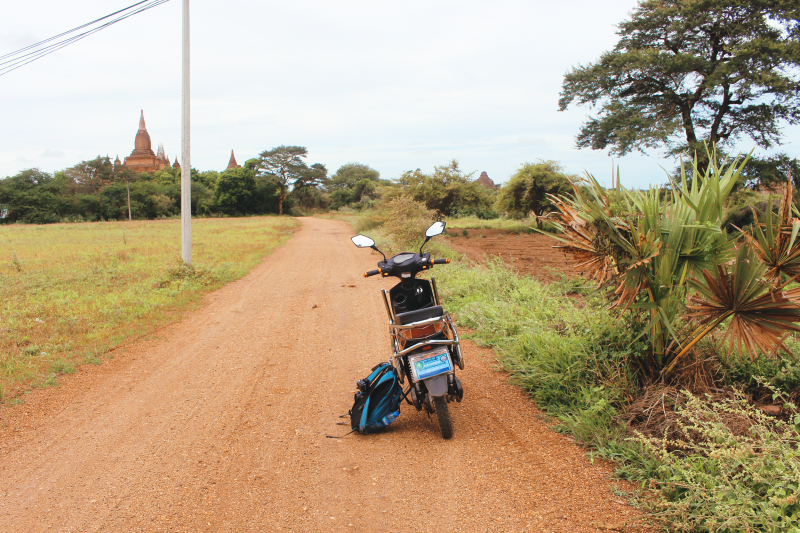 e-Biking the temples of Bagan, Myanmar was one of the best things I’ve ever done. 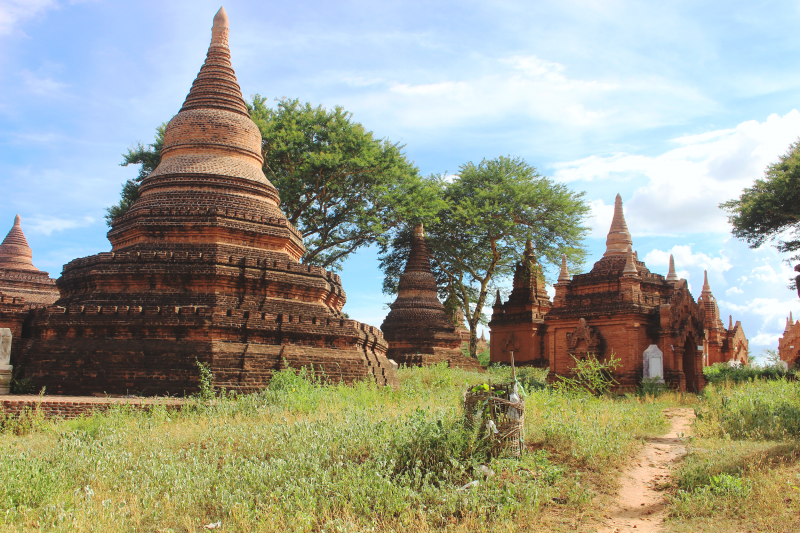 As much as the word is overused, it was empowering starting my first solo travel adventure driving myself around, being on the road, exploring the most amazing stupas in Bagan. 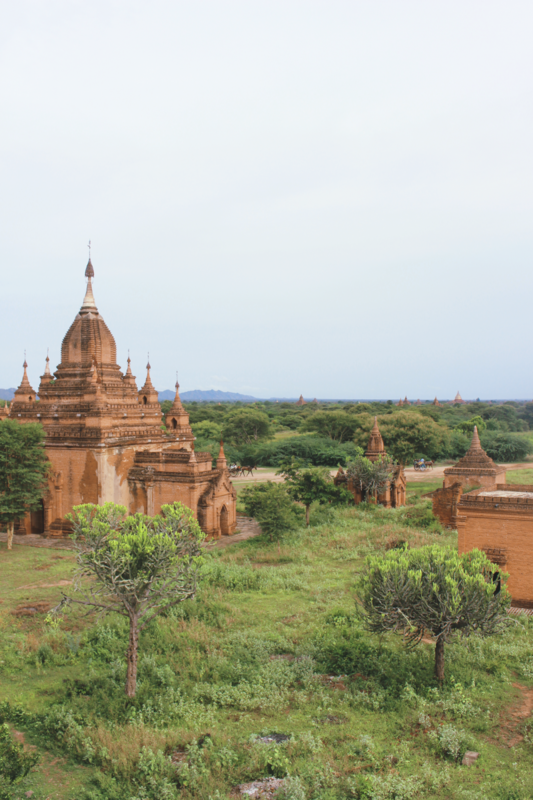 Being able to travel along overgrown paths, weaving your way amidst thousand-year-old stupas, stumbling upon history and having it all to yourself was so surreal, it’s almost hard to put my experience in Myanmar into words. 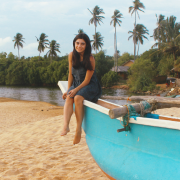 Read to the end of the post for my top tips and recommendations for where to stay! 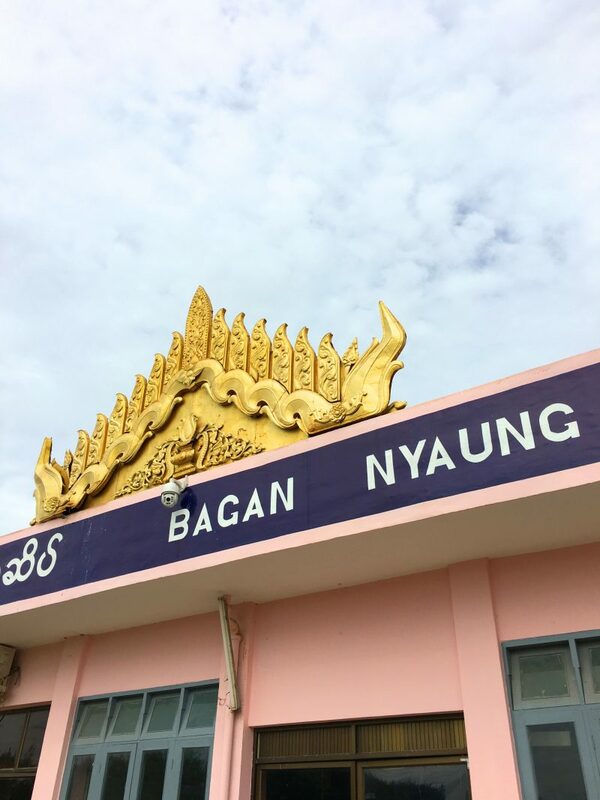 I arrived into Bagan after a 4:30AM flight (through most of which I slept, despite being fuelled up with a Pringles-esque can of crisps for breakfast). Disembarking at 10:30AM, I went through a very pretty Millennial pink and gold airport, picked up my pass for the archaeological zone, which you can pick up in the terminal, before grabbing a taxi to my hotel. 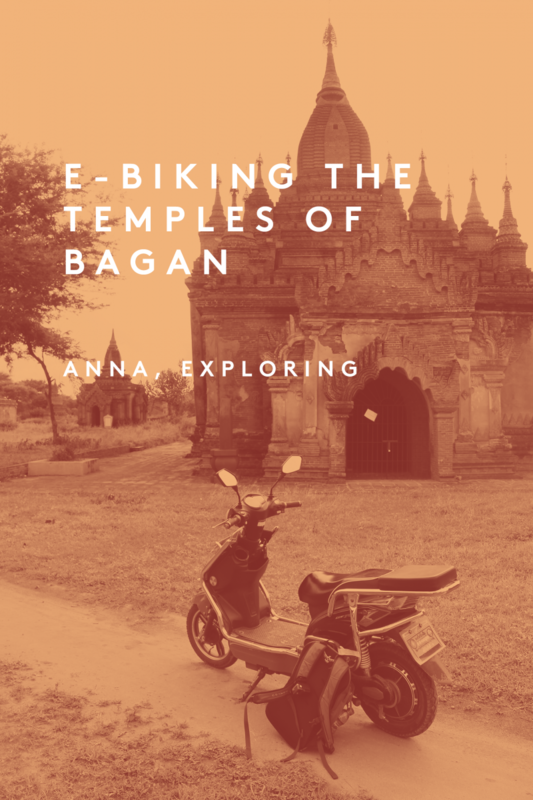 I was still jet-lagged, so immediately went to sleep in my room, before working up the courage again to ask my guest house owners if they knew where I could rent an electric bike to schlep my way over to the temples. 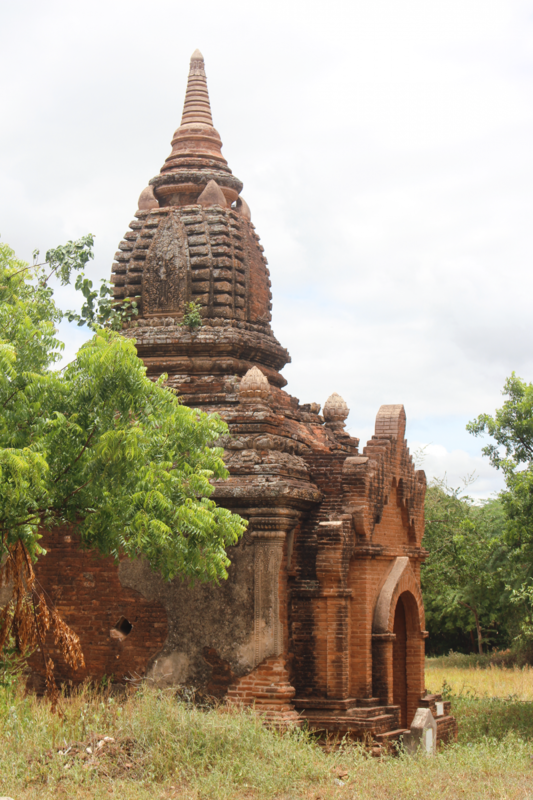 I arranged to go see a temple for sunset, and then decided to try walk around Bagan for a while. 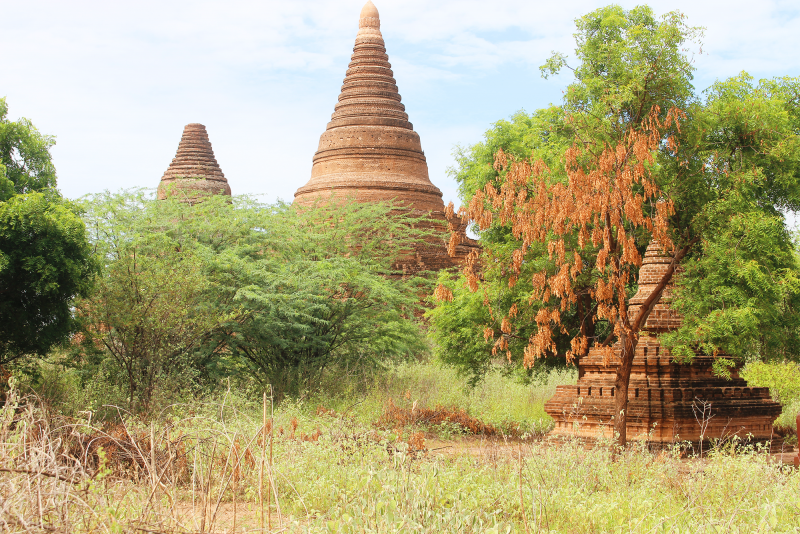 I stayed in Old Bagan, which most guidebooks don’t recommend – they advise to stay in the livelier New Bagan, where there are a lot more restaurants. 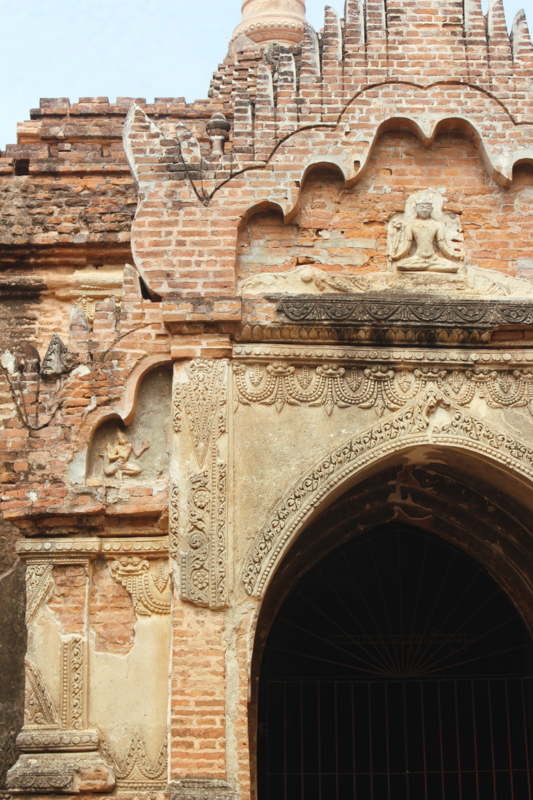 Old Bagan is closer to the temples and a lot more peaceful – it’s really personal preference. 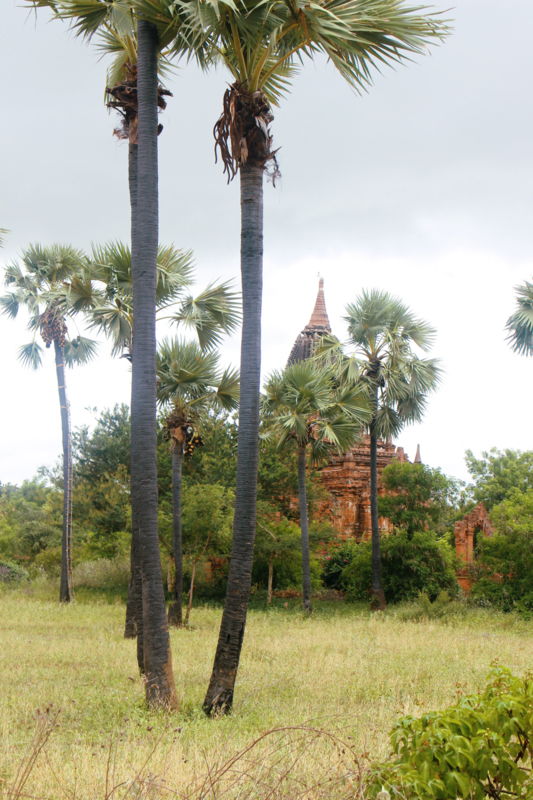 I loved Old Bagan, it was very serene and a perfect amount of calm to ease me into the solo travel life. 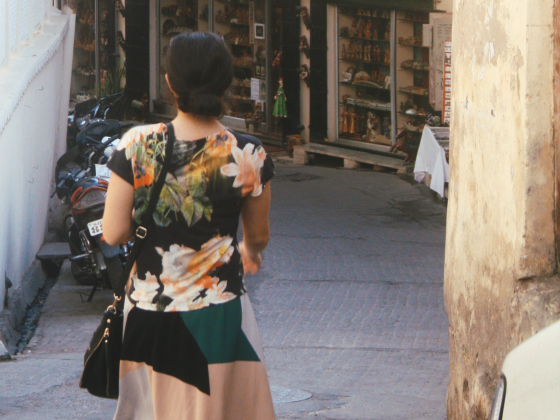 I managed to find myself a restaurant to pick up a late lunch – I was the only person there, and the proprietor even fanned me for a little bit to help keep the flies away, which was one of the most awkward moments of my whole trip! 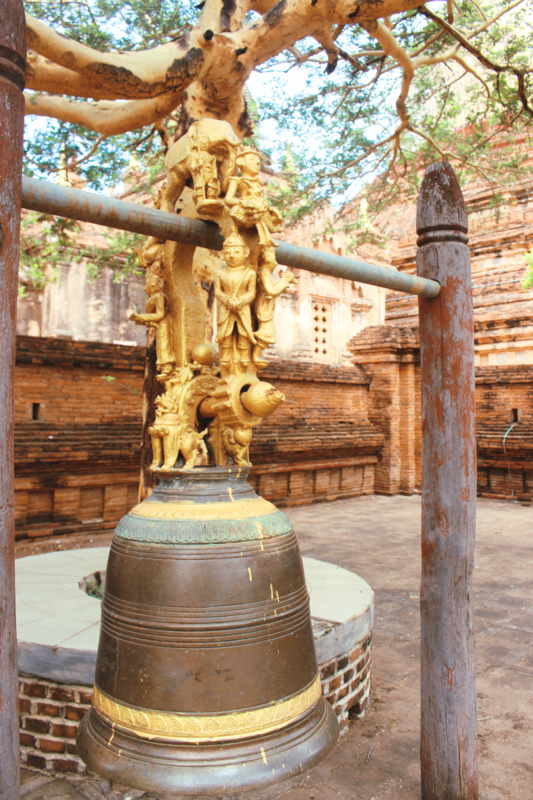 A knock on my door later that day was the signal for the trip out to see the temples – and to my dismay, it turned out the guest house owner’s son was under the impression that I wanted him to take me around the temples for the next three days! Because I hate confrontation, it took me till the next lunchtime to work up the courage to ask if I could rent an e-Bike on my own. 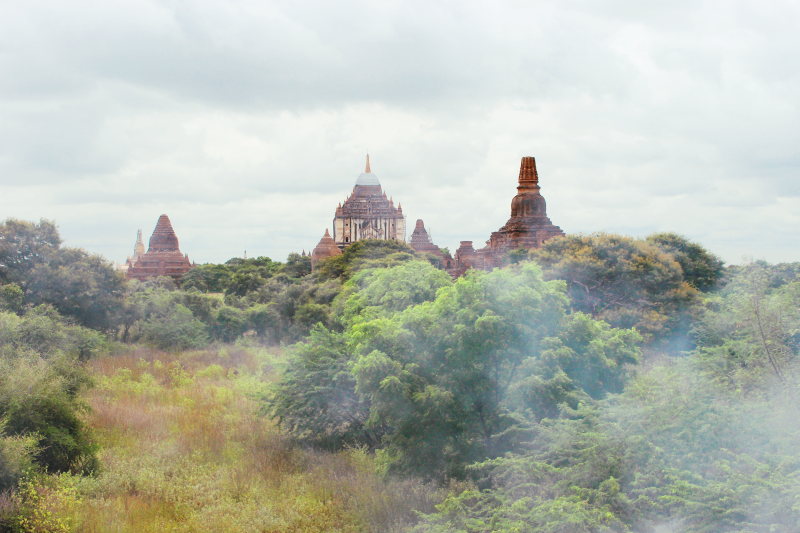 But when I did, I found myself free to explore one of the most magical places in the world. I visited in monsoon season, so it was very misty and overcast most of the time, but this made for very atmospheric photographs! 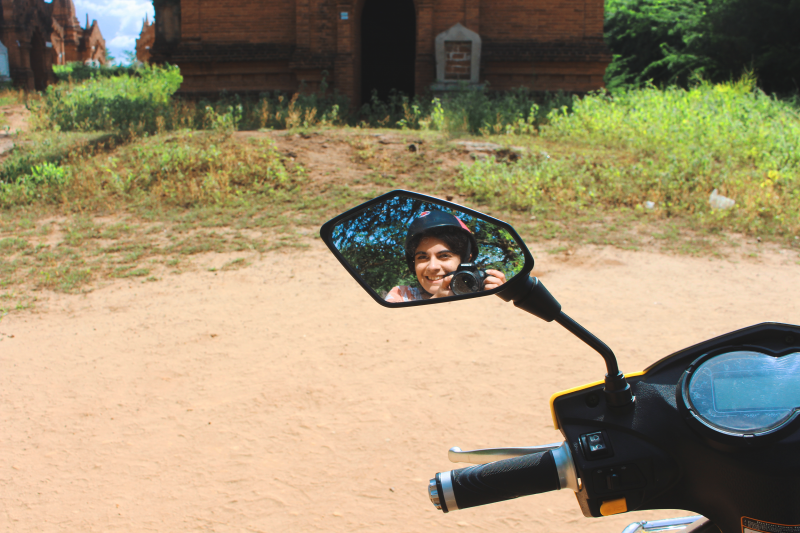 The best way to explore Bagan is to e-bike about by yourself – it’s like riding a vespa or scooter, and super quick to get the hang of. 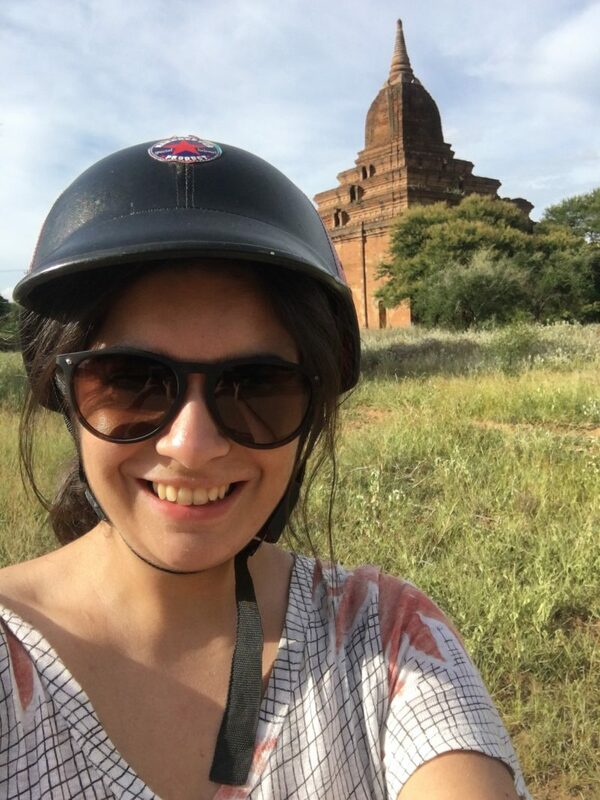 I HIGHLY recommend getting a helmet – I managed to crash on my second day, going straight over the handlebars! I was helped up by a very kind Italian couple, who saw my GoPro and – after checking that I was all right – excitedly asked “Was it on!? Was it on! ?” Sadly, it wasn’t but I do have a hilarious pre-crash helmeted picture of myself. 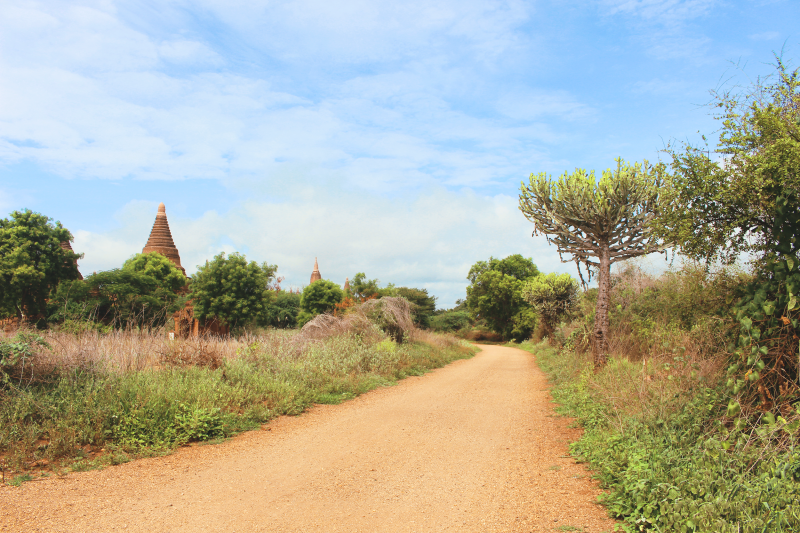 Bagan is threaded with tiny sand pathways that it’s easy to get lost in (both literally and metaphorically). Picking a side track and wending your way down it, not knowing where you’ll end up or what you’ll find is equal parts ‘Oh-man-why-am-I-doing-this’ and the biggest adrenaline rush. This is where I heavily relied on Maps.me – a GPS maps app which I found easier to use than offline Google Maps, and had almost all the tiny pathways marked out – so, when I inevitably DID get lost, I was able to find my way back to the main road. One of my trusty e-bike rentals and a taste of what the views are like. 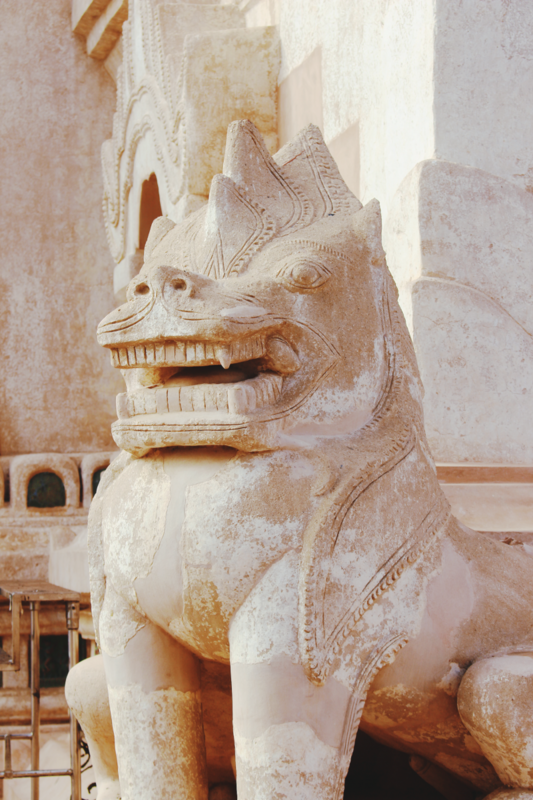 The temples themselves are stunning – most incredibly well-preserved for a country that is very poor and until very recently hasn’t had a tourist trade and therefore the income for upkeep and preservation. 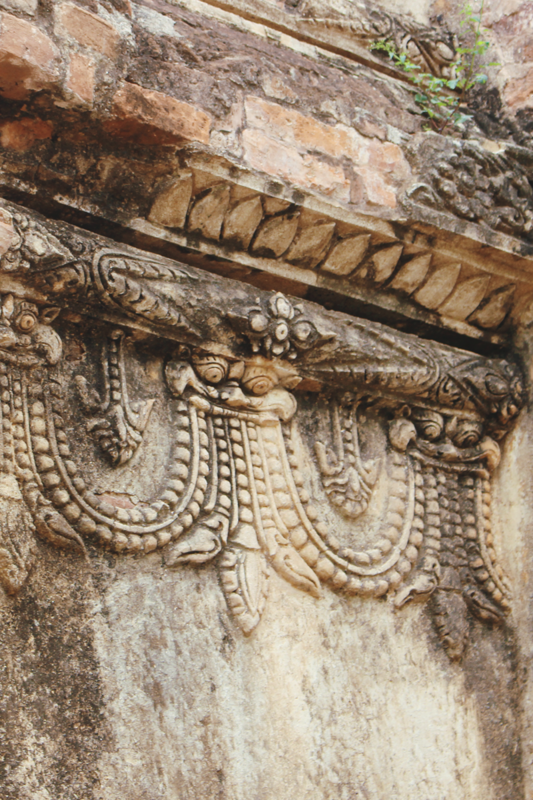 They’re unlike anything else I’ve seen in South East Asia, with the apsaras and figures round and delicate, along with the intricate carvings and staggering of the brickwork. 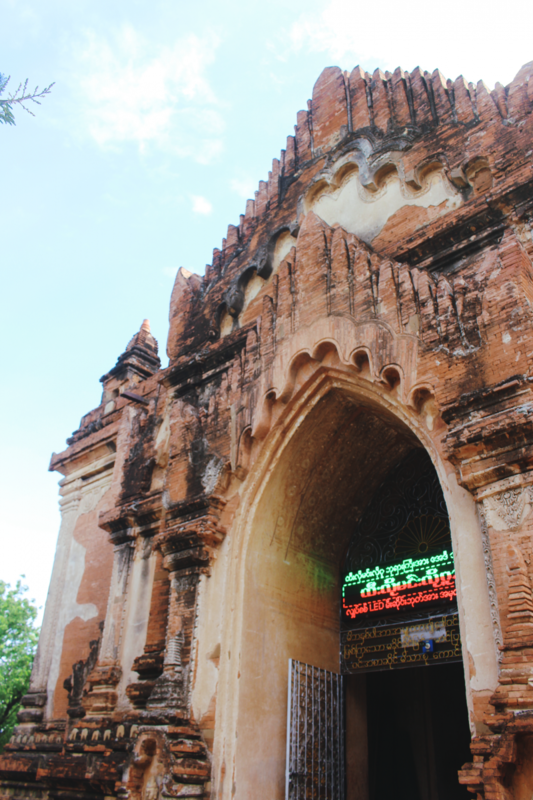 At the larger temples, sadly, there are electronic marquee advertising plaques installed above the doorways. 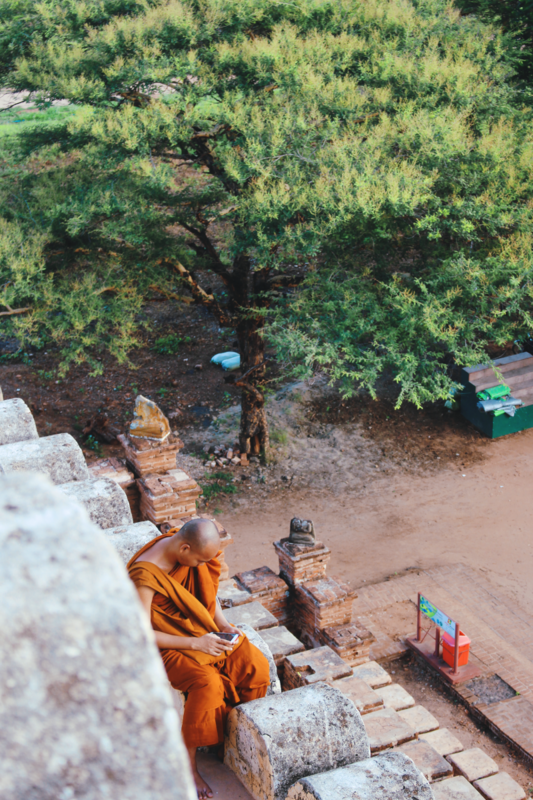 This was very disconcerting, especially as you’re really likely to encounter Buddhist monks exploring the ruins along with you – a real clash of cultures! 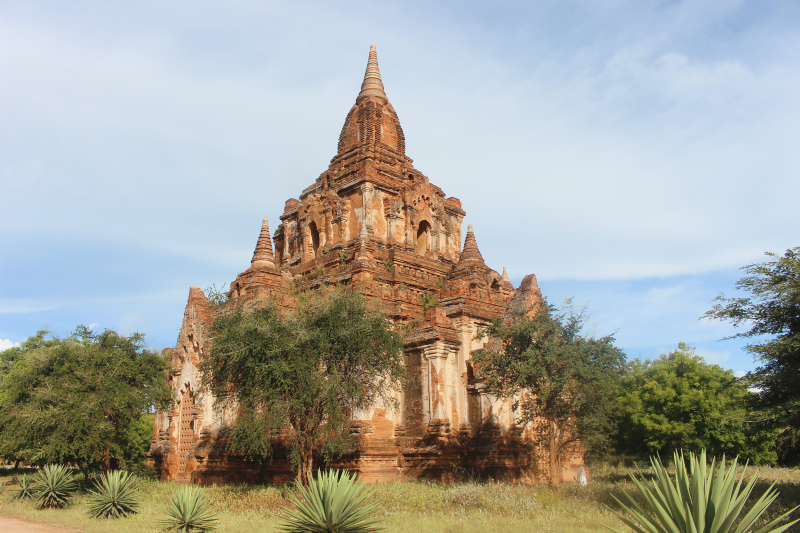 Clambering up these ancient monuments – being allowed to clamber up them! – to find the most incredible views was so amazing and such a privilege. 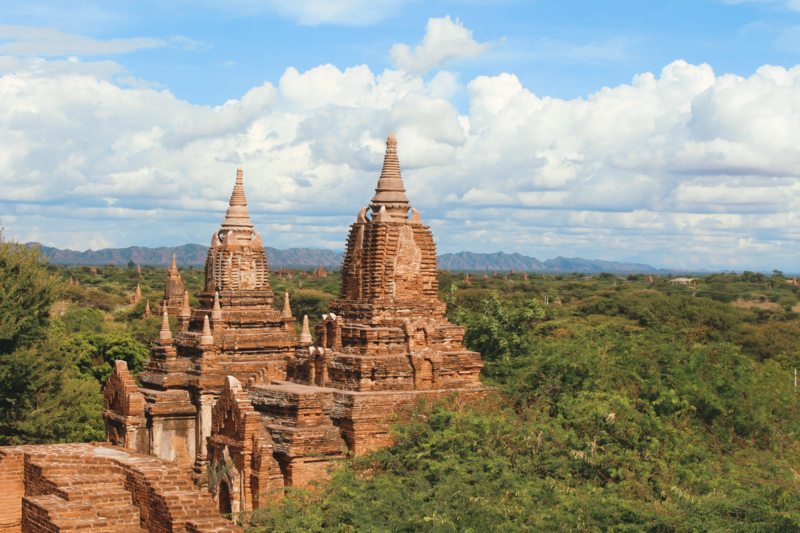 There are thousands of temples, big and small, dotted across the planes of Bagan, and the views from atop almost every temple are like something out of a Miyazaki film, or from a great fantasy epic. It’s absolutely mind-blowing and makes you feel infinitesimally small and at the same time filled with life. On my very last day, after being battered by the winds and a bit of monsoon rain (which luckily quickly passed! 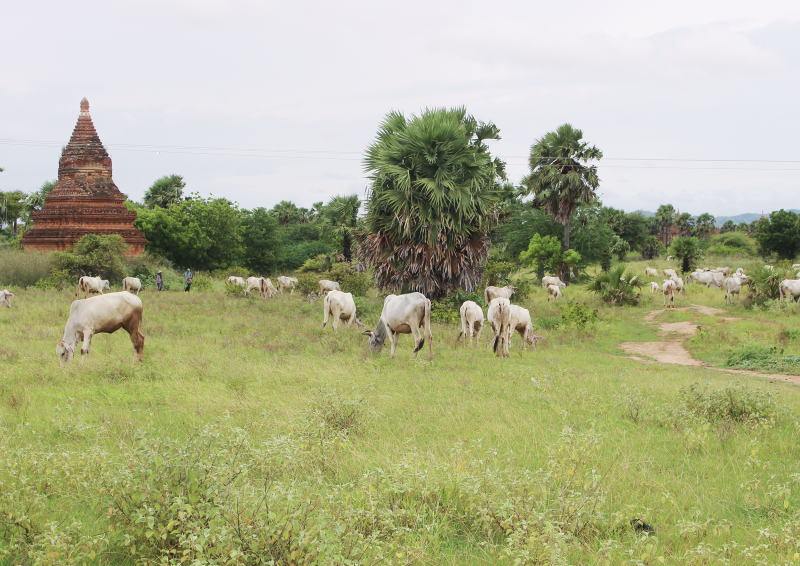 ), I was trying to make my way back to the main road but made a turning down a path that led me to a cluster of quiet and smaller temples. 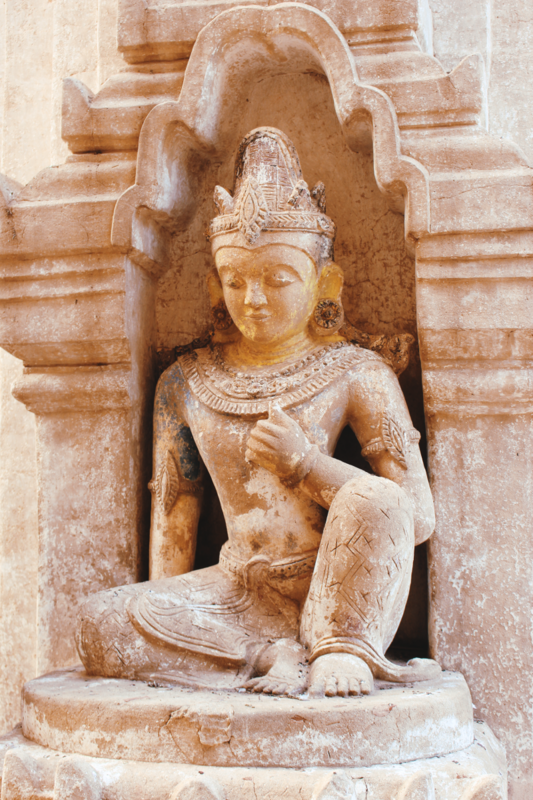 Finding a tiny, narrow and very steep staircase – up which I had to haul myself as the treads were a foot high! 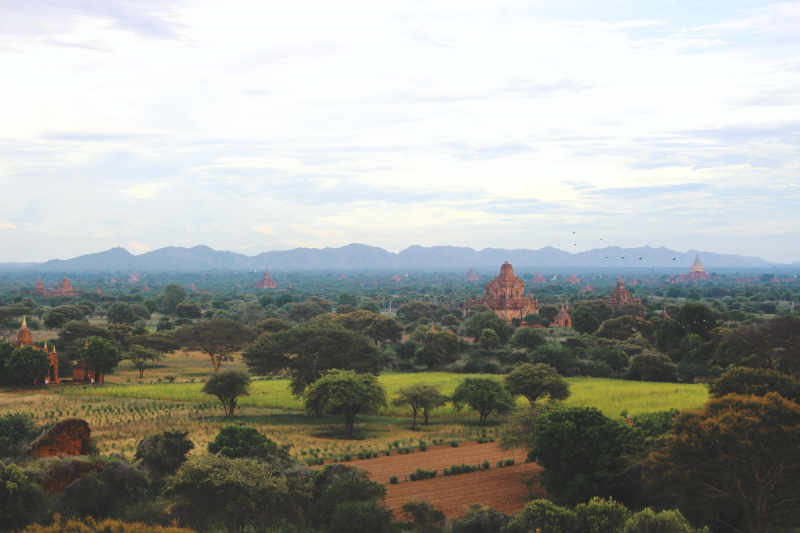 – I emerged upon the most amazing views across Bagan. 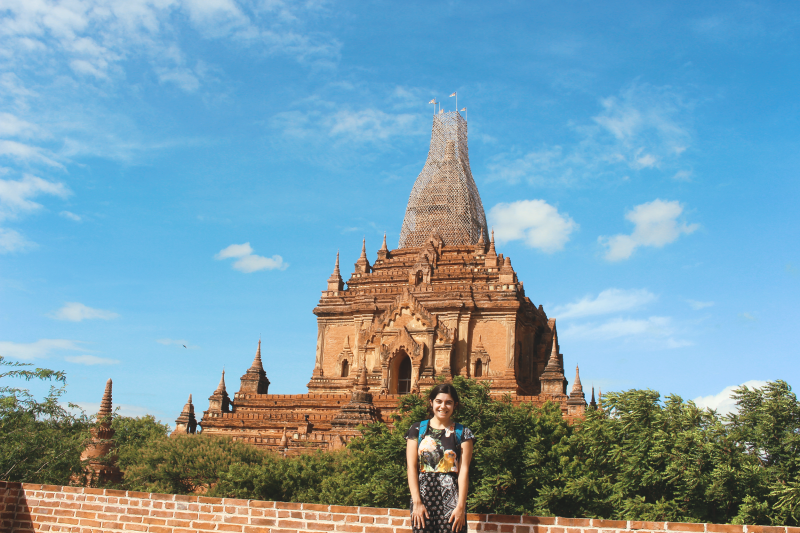 It was such a perfect end to my three days in Bagan – I felt so at peace with myself and the world. Here are a few more of my favourite shots! Despite visiting in the monsoon, I was really lucky with the weather! Ask your guesthouse or hostel owner to organise you an eBike as soon as you arrive – and make sure you’re clear you want to drive yourself. Take half an hour to get to grips with the bike before setting off. I stayed at the Golden Rose Guest House, which I really recommend. Very clean, very quiet and very kind owners! 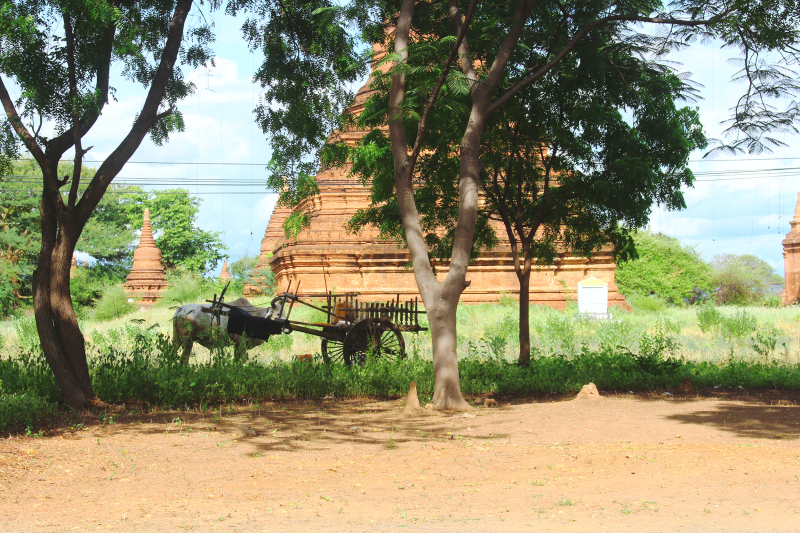 It was perfectly placed to explore both Old and New Bagan. 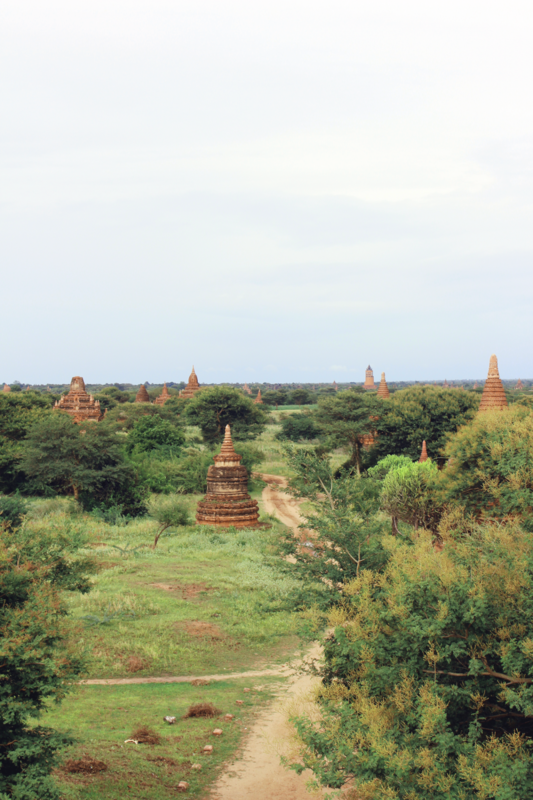 The rooms were comfortable and both the wifi and the generator largely reliable (a lot of Myanmar suffers from power outages – I had two during my time at Bagan, but they were very short-lived). I ate almost every night at The Food Library, which has awful reviews on TripAdvisor, and is an Italian restaurant apparently!? 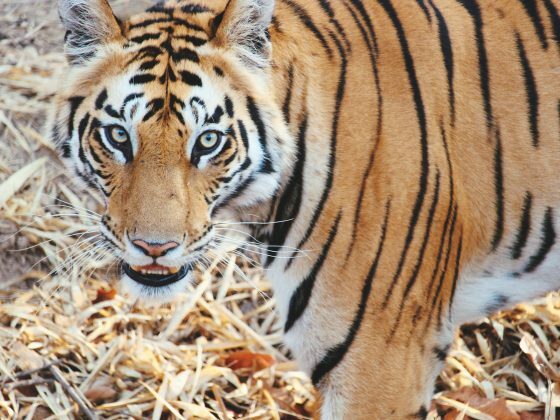 When I was there, it served traditional Myanmar curry and the most amazing deep fried honey bananas – and it was the best food of my entire trip (other than Rangoon Tea House in Yangon). 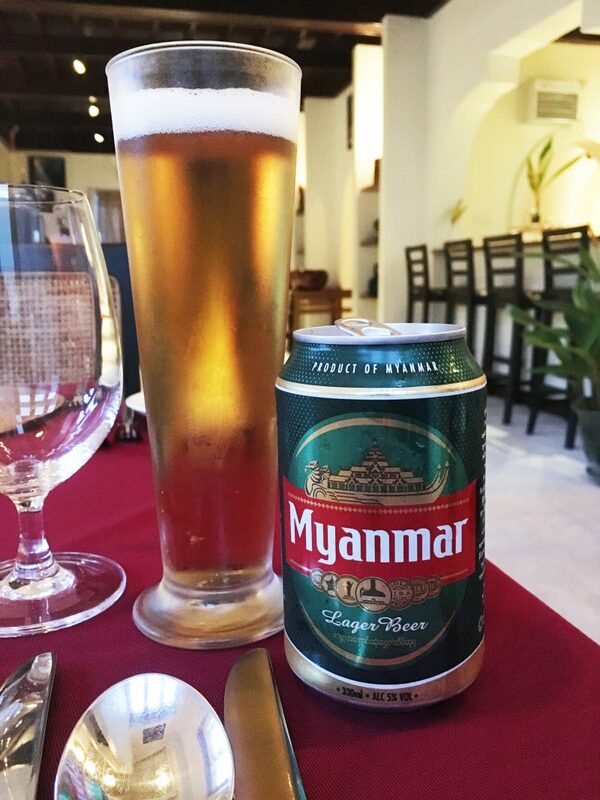 Whilst you’re in Myanmar, don’t forget to try a Myanmar beer! 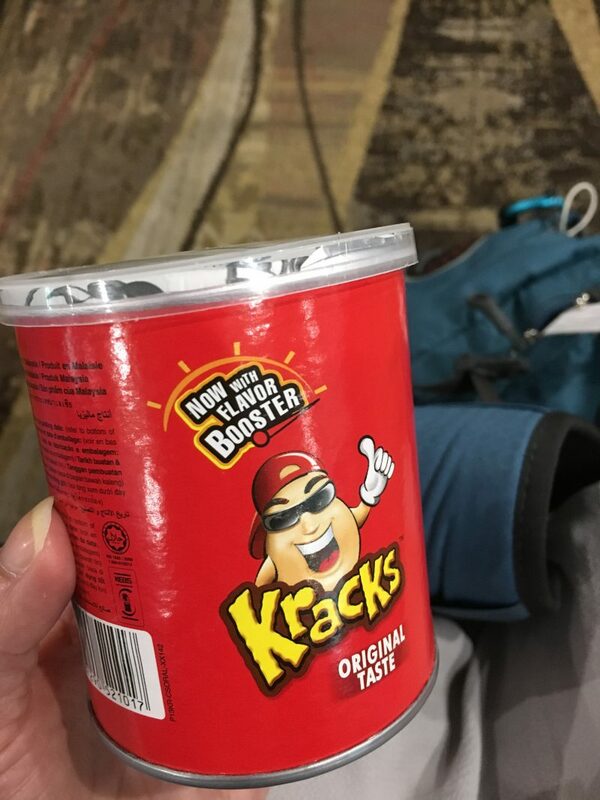 Delicious and very drinkable – even if a can was too much for me!